In our previous chapter on caricaturing tips, you learned about basic head shapes and how each individual can be identified by the shape of their head. Now, Sycra’s going to teach you about the underlying foundation of every face – the skull. This is an area that’s often overlooked – especially in caricatures – and learning about the structure of the skull can really help you out when creating your painting. So, if you’re ready to delve deeper and expand your creative skills with more caricaturing tips, pick up those pencils and tablets and let’s get started! Make no Bones About it – Skulls are Crucial! Woah – spooky, huh? As this rather macabre-looking example shows, there is a skull lurking behind each and every face, regardless of how much the features have been exaggerated. 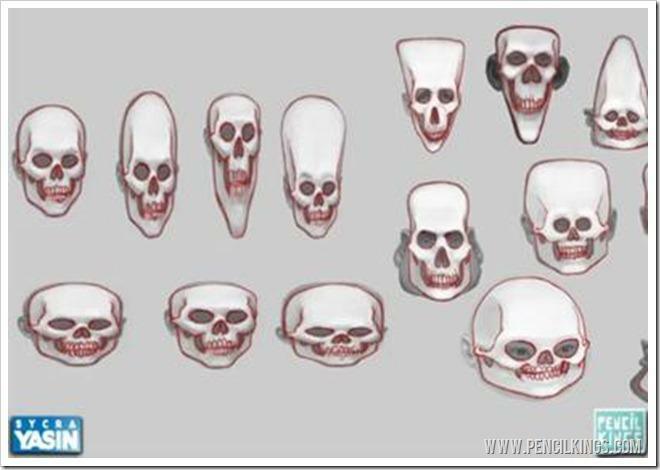 The skull in the top left hand corner is drawn realistically, but you can see how the basic skull structure applies in every other example, whether stretched or squished, thin or fat. Try to see beyond the features of the face and think about the underlying structure of the skull. While we don’t need to go into too much detail here, but one of th most important caricaturing tips is to bear the shape of the skull in mind when creating your caricature and remember to include all its features. 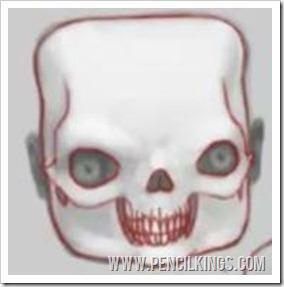 The structure of the skull is still an important factor even in examples such as this wide face. Notice how the brow ridge is still included along with other features such as the jawline and eye sockets? All your faces can fit their own skull – it’s just a question of adapting the structure to accommodate the exaggerated features. Try and distinguish between areas of bone and flesh when applying these caricaturing tips. 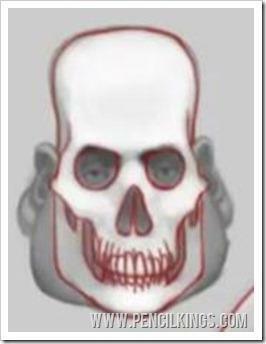 In this example, you can see how the man’s fat cheeks still have the underlying bone structure of the skull. Understanding how the features of the face work in relation to the structure of the skull will help you make decisions when applying tonal values and color rendering. 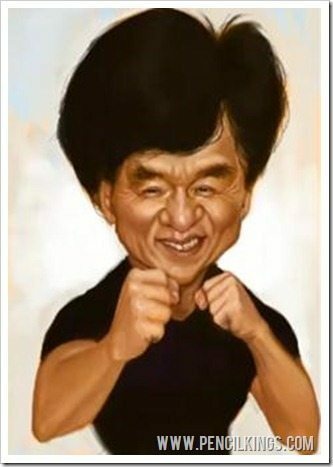 Remember – creating a good caricature goes a lot deeper than simply drawing a large head on a small body. In fact, understanding the anatomy here is just as important as when you’re drawing a realistic portrait. In the next lesson, you’ll discover how to apply what you’ve learned to creating your caricature and how to exaggerate the body and hair for maximum effect. We hope our caricaturing tips have helped you learn lot and that you’re having fun creating your own portraits. Got any caricaturing tips of your own? We’d love to hear about them in the box below!